An American behind a plot to illegally remove body parts from corpses and sell them for transplant is to admit guilt in a plea bargain, his lawyer has said. 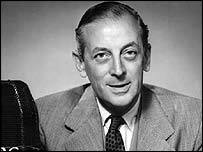 One of the bodies plundered was that of famous BBC broadcaster Alistair Cooke, whose bones sold for $11,000 (£5,600). Michael Mastromarino, 44, allegedly earned millions from the plot in New York and is expected to face a minimum of 18 years in prison. Another 10 people have been charged in connection with the case. Mr Mastromarino's lawyer, Mario Gallucci, said his client was "facing a daunting battle and he sees this as his best opportunity to accept responsibility and move on". 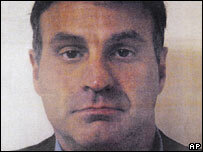 Mr Mastromarino was charged with corruption, body stealing, opening graves, unlawful dissection and forgery. His assistant, Lee Cruceta, has agreed to a deal to serve eight years in prison. Seven funeral directors have admitted other charges while charges on two other people are still pending. Thousands of people received body part transplants supplied by Mr Mastromarino's Biomedical Tissue Services and his plea bargain is expected to include co-operation on providing information on who else dealt in the parts. The parts were taken without permission from more than 1,000 corpses awaiting cremation in New York state and may have exposed people to infection, prosecutors say. The four-year operation ran until 2005. Alistair Cooke died in 2004, aged 95. He presented Letter from America, the world's longest-running radio speech show, for 58 years.